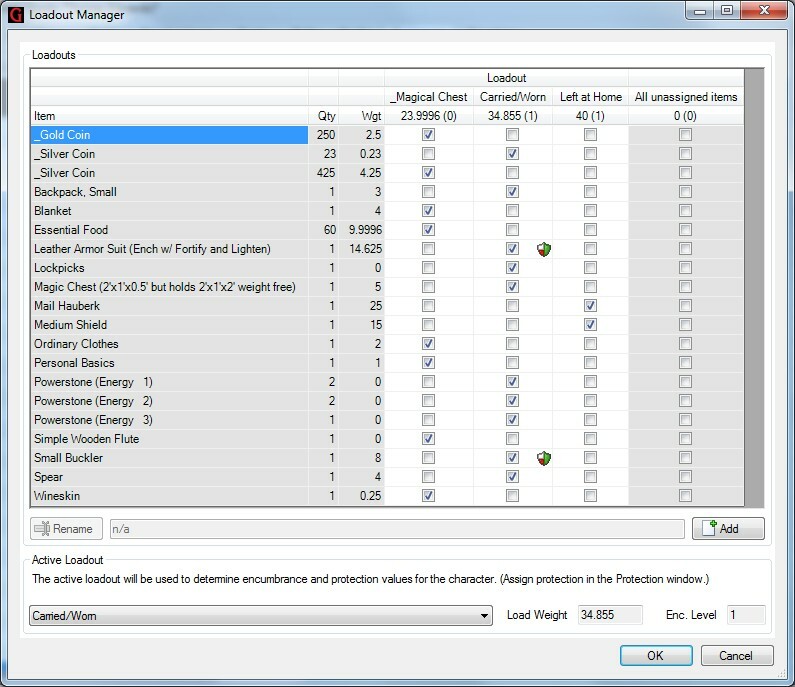 * Random SelectX processing will now support the possibility of incrementing the level of leveled items, and will remove items that fail taboo checks. * Bonuses now support the ability to declare an exception to the bonus, so that items can exclude themselves from receiving the bonus if they fall under the exception’s parameters. Note that the TARGET keyword is also required if you’re looking to create the exception based on the value of one of the bonus receiver’s tags. The Unless block should solve down to a True or False value, much like the If part of the @if() function. The Unless block is fully Solver enabled. I believe every place that gathers bonus information for a trait currently supports these new exceptions, but I may have missed something if it has special handling. The syntax for each of the trigger tags within triggers() remains exactly the same. The existing system for the trigger tags still remains, and still works in the exact same fashion it always has, with the exact same processing order, and the same limitation of one tag of each type. (And for that system, you must still use the sequentially numbered SelectX() tags, as well.) The new triggers() tag contents will be processed first, before any of the old system tags are processed. This entry was posted in Build Notes on August 30, 2013 by Armin. * Fixed a display bug in the simple edit area. * Made some adjustments to the new Resync internals. * I stuffed in a simpl(e|istic) way to create random characters based on templates. This is basically a simple wrapper and a couple shims that allows for the simple auto-choosing of items in Select dialogs. The Select dialogs will flash on-screen as the process is being done (assuming the user picks a template that actually has selections to be made). This is pretty simplistic in that it doesn’t even have the ability to try different levels of leveled items, will allow taboo items, and so forth. But it’s working. I also stuck a little Random button on the Select dialog, so folks can randomly select options in a particular Select without randomly choosing the others. The Random Character and New Random Character options are in the Tools menu. This entry was posted in Build Notes on August 24, 2013 by Armin. 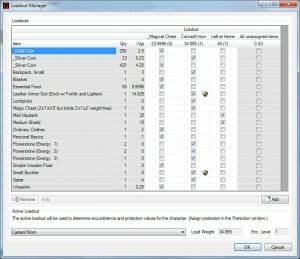 * Fixed a typo and some sizing things on Loadout Manager. * Added the ability to turn on and off the display of the toolbars, in the View menu. * GCA will now remember the border widths, flow direction, and column widths set in the Colors & Layout window. * Fixed a refresh bug in attack mode boxes. * Added support for the where() tag (‘Where It’s Kept’) in the Simple Edit dialog for Equipment, for those who like to detail out where each item is placed on their characters. * Did adjust a couple things in the FastLoad files to see if that would speed up the threaded processing a bit more. * Mucked about with some stuff on the Classic view trait lists, including something I’m just trying out. * Mucked about with the Campaign Log window a bit. The window now supports reversing the display order of the log entries, and you can now search through the log entries for a text string (currently very simple searching only, although you can restrict it to only captions or only notes using the prefixes “caption:” or “notes:”, respectively). * Fixed an issue where clicking on the non-trait-list boxes in the new set of Compact View boxes would cause an exception. * The Resynchronize function has now been restored. Access the Resync window from the Character menu. I’ve changed some of how the internals work from the way GCA4 did it, which will hopefully allow for more flexibility. I do have some thoughts on additional features that might be nice, so there is a disabled portion of the window (that I may or may not hook up later). This entry was posted in Build Notes on August 17, 2013 by Armin. * Fixed a bug in saved XML data that didn’t preserve the owns() value. * Fixed a bug that called up Combinations editor for non-editable traits. * Fixed issue with modifiers not being pasteable in Classic View. * Fixed bug preventing $ functions from being solved from the Solver. * Zooming the form will now also zoom the menu fonts. * Removed the main menu from the toolstrip container. * Added a couple threads to FastLoad loading. Makes a minor improvement to loading times. * GCA5 is more restrictive in what it considers a numeric value. For this reason, a fair number of incorrectly written expressions worked as if they were valid in GCA4, but fail in GCA5. I have inserted a ‘shim’ into the Solver for GCA5 that checks for one such case: % values being offered in functions/expressions as numeric values. Technically, this isn’t allowed, but GCA returned the value without the % sign anyway, while GCA5 would return 0. This shim should allow returning the value without the % sign as GCA4 did. * Trying out new trait lists in Compact View that are based on standard list boxes. I’d thought this would save time and effort when making improvements and adjustments down the line, but it looks like this way has it’s own issues, too, so I’m not sure it saves me anything in the end. The entire set of boxes in Compact View is currently displayed twice, once each with the new method and the old method. This entry was posted in Build Notes on August 9, 2013 by Armin.